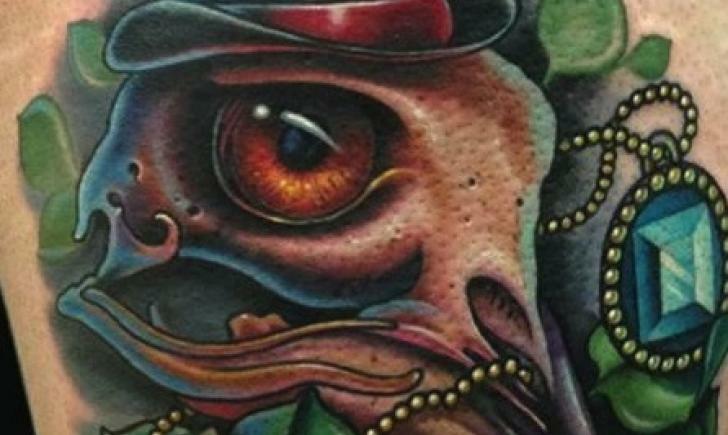 Eyeball tattooing is becoming more popular among body mod enthusiasts. This trend is catching on because of the way it can make the eyes look. 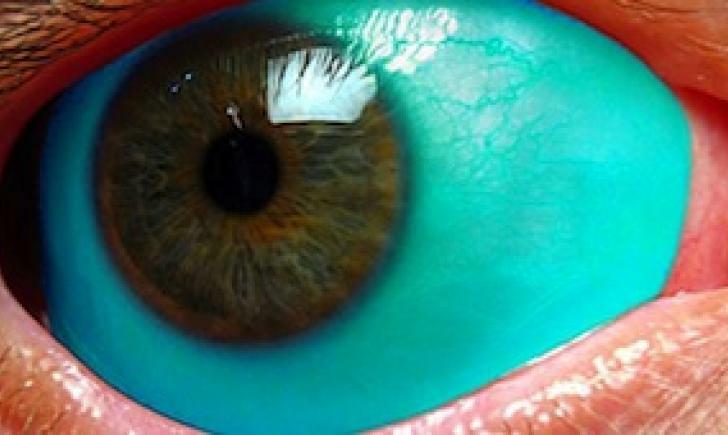 The sclera is tattooed, which is the white part of the eye. It can be tattooed random colors so that the white is then read or blue or any color the wearer desires. Another effect seen is to make the actual eye look bigger and completely black, seen more among some musicians. Even though the overall look can be very “cool” looking and unique, this is a very dangerous procedure which can result in impaired vision or even blindness. The next two people had to suffer these consequences. Florencio Conchuza Gonzalez, who is a gang member in Los Angeles, got his eyeballs tattooed in part of a celebration for his 17th birthday. 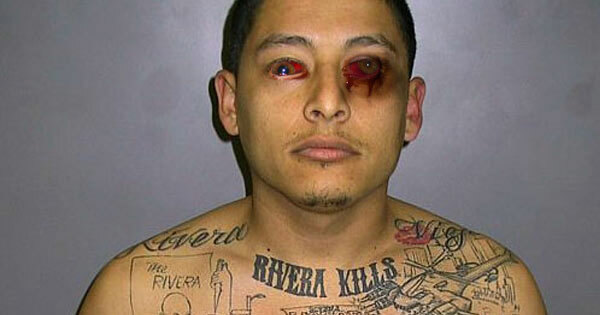 Florencio is also called Mara Salvatrucha. The young man was blinded by this procedure. He was caught on video in February of 2015, running from an armed burglary in a convenience store. After being caught, he told the police that he would tell them anything they wanted to know if they could fix his vision. Police officer Juan Simons had this to say about Mara’s appearance and willingness to confess, “He just started crying and told us he would tell us anything we wanted as long as we would bring him back his vision…I reassured him we would do the best we could and called an ambulance immediately as his eyes were bleeding and were so swollen they looked like they were going to come out of his eye sockets.” It’s unknown if he will permanently lose his vision, but the information he has given in exchange for his vision is full of gang leader names, possibly crooked officers involved, and a list of drug and weapon resell points. 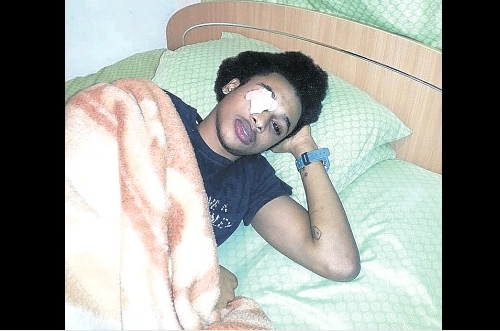 Jamaican dancehall musician Mace, aka Derick Walters, went through with his eyeball tattooing procedure earlier in 2015. The tattooing he got was to make his eyes look large and black. The photo above shows him recovering from almost going completely blind. He has since recovered and is currently making music, but was the risk worth it?